Introducing the Aspire Atlantis 2. This innovative tank system brings improved adjustable airflow, 3ml capacity, an all new adjustable airflow control at the drip tip to allow users to adjust the temperature for a cooler vaping experience, & all new subohm coils that use organic cotton. All of this comes together to provide intense flavor and mammoth vapor. Just like its predecessor the Aspire Atlantis 2 is easy to carry, install, and refill. This sub-Ohm coil system can be paired with Mechanical or Digital mod to produce huge clouds of vapor from an easy to use replaceable coil tank. 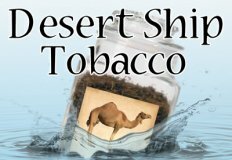 No longer do you have to spend hours building your own coils to get the cloud chasing results you desire. Instead, simply unscrew the old head once it wears out and screw a new one in and you have a monster of a tank without all the hassle.By enhancing Aspire's Bottom Vertical Coil design Vapers will experience better taste and vapor production. Aspire's Atlantis Tank design is easy to carry, install, and refill. Even though this is a CLONE of the Aspire Atlantis 2, the build quality is on par with the genuine Aspire Atlantis 2 and we have thoroughly tested it to ensure that it performs equally well with the genuine Aspire Atlantis 2. Note: the Aspire Atlantis 2 only works with Mechanical Mods paired with a 30A battery or higher. 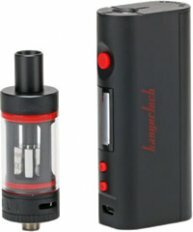 This tank will NOT work with an ego size battery or any digital mods that don't recognize a sub ohm coil.